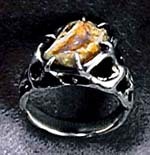 During the time I was concentrating on jewelry, I found myself making a lot of rings. 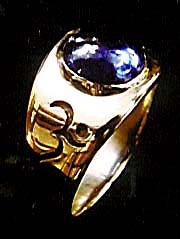 This led, naturally, into learning to set stones, and so I made a variety of rings, most of which sold, or were commissioned. 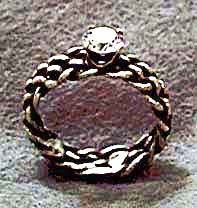 I did like making custom designed rings, some of which you can see below, and I'm still open to doing more, as I enjoy the challenge of working within the parameters of another's desires. 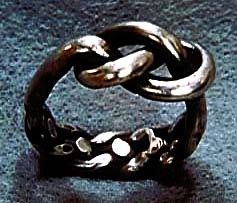 There are plans to return to casting rings in the near future, but I imagine they'll reflect the mental progress that I've undergone through bronze casting and stone carving. 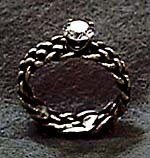 If you are interested in having a ring made for yourself email me and let me know what you have in mind.